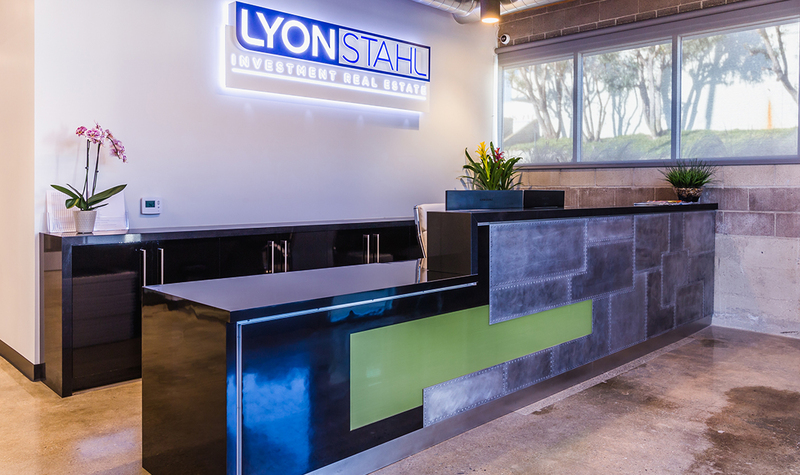 The co-owners of Lyon Stahl, a rapidly growing SoCal-based investment brokerage firm, selected a building in El Segundo’s in-demand Smoky Hollow industrial district to be closer to their target marketplace and personal residences. In keeping with the area’s warehouse vibe, Kamus + Keller adhered to standard mid-century aesthetics like a domed roof structure with exposed wood and skylights, exposed CMU walls, and sealed concrete floors. 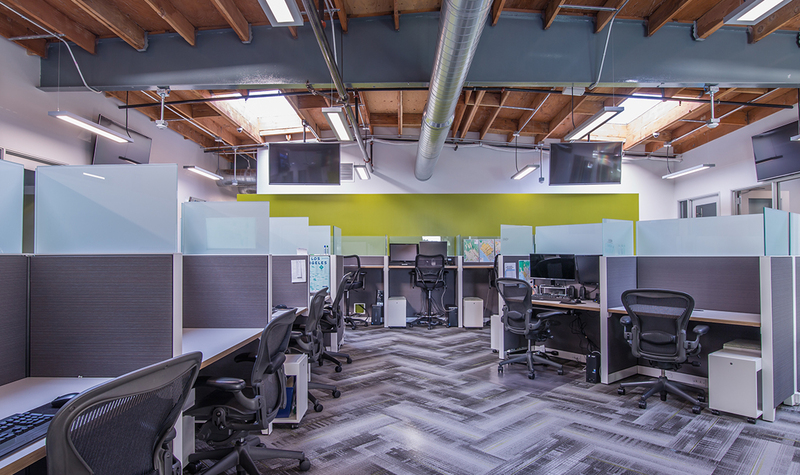 Clean lines and varied neutrals soften the space, while the company’s brand colors add energetic pops of color. 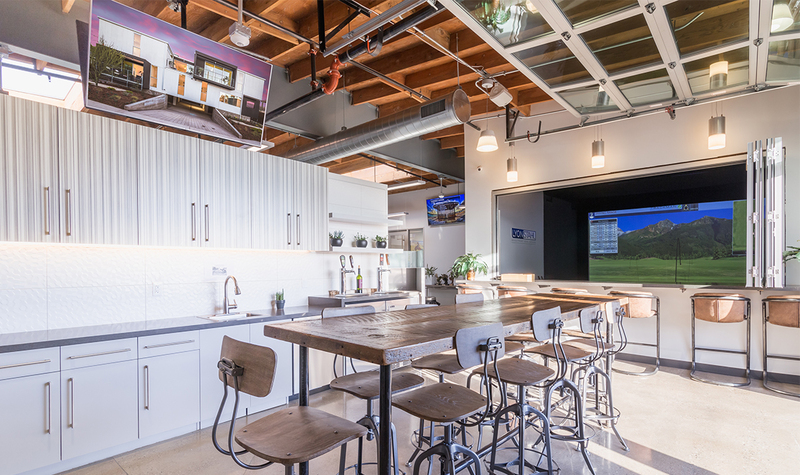 Culture and work-life balance played a huge role in the design of the space. To increase employee engagement and promote some healthy competition amongst the staff, the Client desired a 24/7 collaborative environment packed with enough creature comforts to entice staff to remain comfortably in the office during their long shifts. 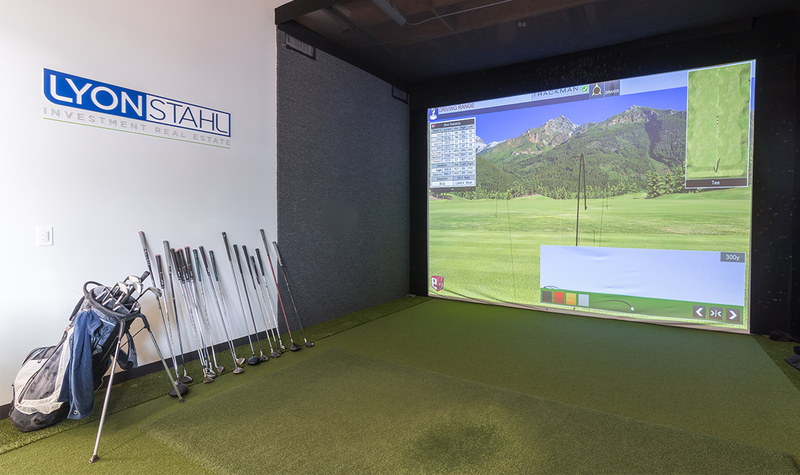 Amenities include a golf simulator, exterior patio with shuffleboard table and BBQ, multiple televisions, kegerators, and a top-of-the-line Italian espresso maker. The Lyon Stahl team were on-site daily inspecting and overseeing every aspect of their project throughout construction. 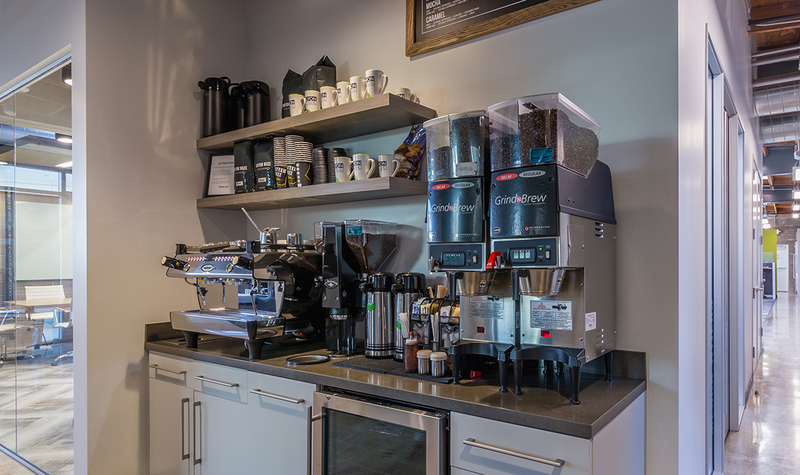 While that level of client interaction often leads to excessive delays and cost overruns, the project’s exceptional contractors and vendors made all requested adjustments quickly and with minimal cost impacts. 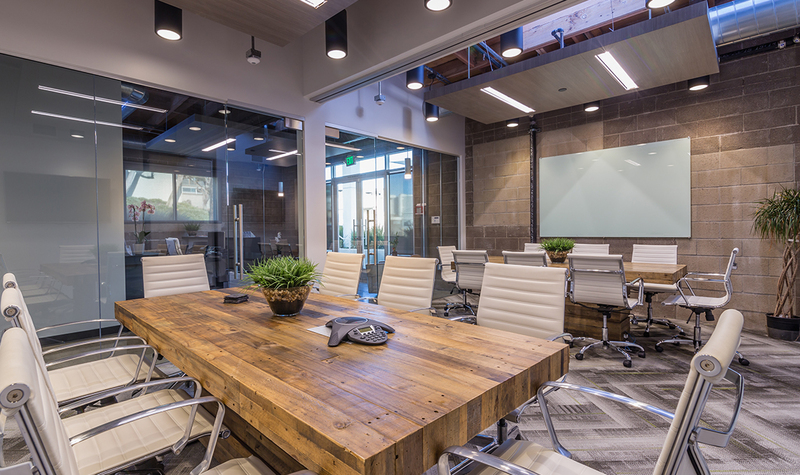 As a result, the Client’s unwavering vision coupled with Kamus + Keller’s strong management, paved the way for a project delivered within budget and on schedule.